The most important elements to take into consideration when planning a commercial kitchen are those which will help you to create a beautiful, safe and practical space where you can design, prepare and deliver your food. A space in which to make the magic happen. Here we look at some of the crucial areas to consider before you embark on your journey to the perfect place from which to create great food. Choosing the site for your kitchen is hugely important. You may wish to design a new building from scratch, or remodel an old one. Either way, you must ensure that you have permission from the local authority to operate a commercial kitchen from your chosen location. Contact your local authority and request that they review your initial proposal and plans, to ensure that you are on the right track from the beginning. According to Dover County Council, knowing which building or renovation proposals require planning permission, and understanding other complex rules concerning the operation of commercial kitchens, can be tricky. Retrospectively applying regulations such as how far food must be prepared away from waste disposal, or how much ventilation your premises will require can also be exceedingly costly – it’s better to be on the side of caution now. Next, it’s time to move your focus internally. What are you planning to create in your kitchen? Taking into consideration how you plan to store and serve your food is one of the most important things when planning a commercial kitchen. 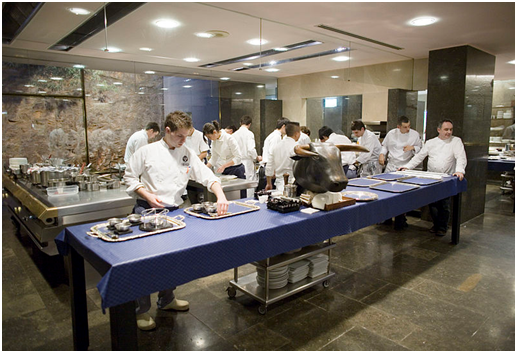 Prior menu planning to ensure you know exactly what your vision demands can save a whole lot of time and expense later. Create a comprehensive list of everything you will need to facilitate the magic. 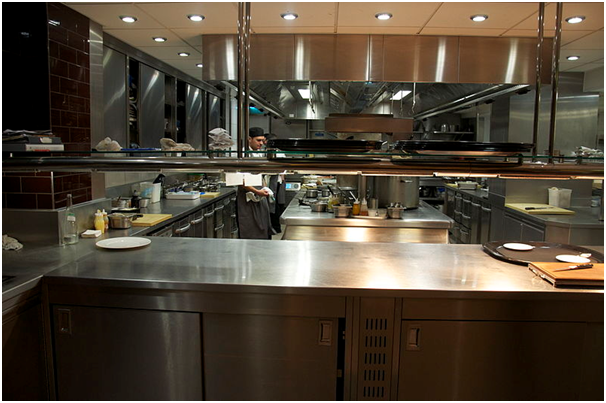 Most commercial kitchens require, at the bare minimum, storage units, displays and refrigeration. Think laterally and consider creative ways to combine these elements, for example with a glass door refrigerator, such as those offered by FridgeFreezerDirect https://www.fridgefreezerdirect.co.uk/glass-door-refrigeration. These units can combine practical refrigeration with style and product display capabilities. Hiring the perfect professional architect or contractor to build your perfect commercial kitchen is paramount to your kitchen’s ultimate success. Be the first to comment on "Five design steps for a commercial kitchen"